The black-colored version of the House of Marley Little Bird In-Ear Headphones uses 9.2mm drivers and a noise-isolating design within a slim machined-aluminum chassis. For comfort, a collection of ear tips are included to accommodate ears of different sizes. The use of recyclable plastic housings and paper as well as the materials in the packaging reflects the company's commitment to environmental sustainability. Box Dimensions (LxWxH) 5.8 x 2.4 x 1.3"
Little Bird In-Ear Headphones (Black) is rated 5.0 out of 5 by 2. Rated 5 out of 5 by Mark from Great sound, comfortable and at a low price! For the price, it is hard to beat. I bought these for when I do travel. I wanted a low price and comfortable in my ears. These are both of those and at a low price. I would not call the Little Bird In-Ear Headphones heavy duty in their construction but decently made. Rated 5 out of 5 by Abraham from Excellent deal! I was pleasantly surprised with the excellent sound quality of these inexpensive in-ear headphones. 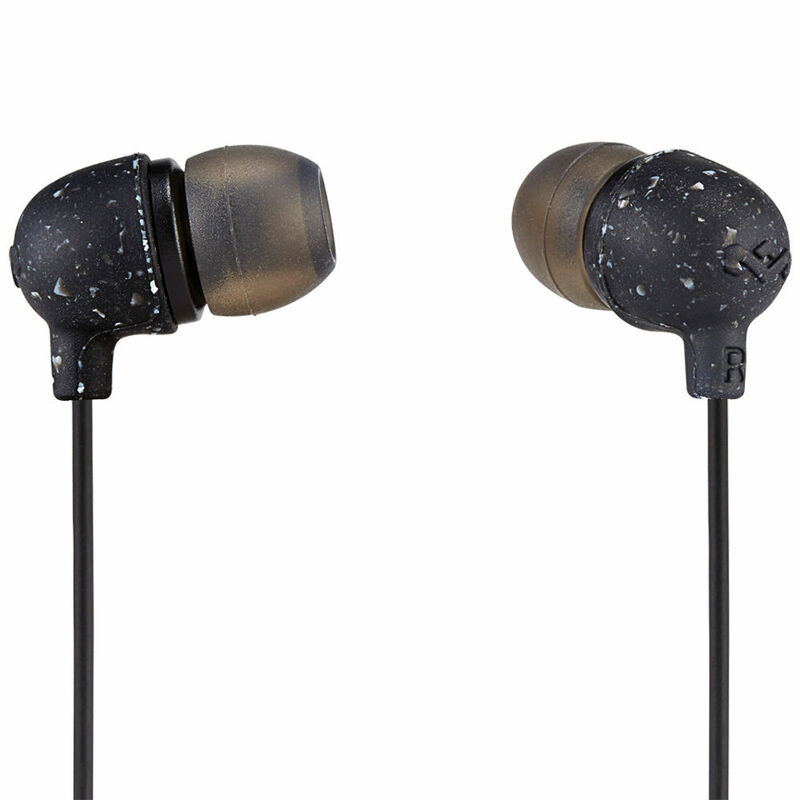 They are lightweight, yet still provide deep bass sound and very decent noise isolation.